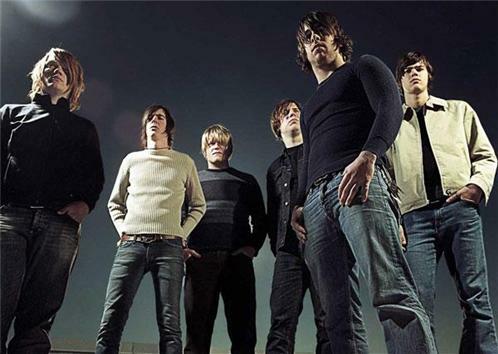 Underoath (stylized as Underath) was an American Christian metalcore band from Tampa, Florida. Founded by Dallas Taylor and Luke Morton on November 30, 1997 in Ocala, Florida, subsequently its additional members were from Tampa, Florida. With original vocalist Dallas Taylor, they released Act of Depression, Cries of the Past, and The Changing of Times. Following his departure, Spencer Chamberlain became lead vocalist. The band then released They're Only Chasing Safety and Define the Great Line, gaining a certified gold rating and the highest-charting Christian album on The Billboard 200 since 1997 respectively. These two albums have given them more mainstream and commercial success. They have received two Grammy nominations in 2007 and 2010 respectively and have recorded a live CD/DVD box set entitled Survive, Kaleidoscope, which was released on May 27, 2008. From late February to early May the band recorded their sixth studio album entitled Lost in the Sound of Separation, which was released on September 2, 2008 and peaked at number 8 on the Billboard 200. Their last album (Disambiguation) was released on November 9, 2010, and is the first without the band's last original member, drummer and vocalist Aaron Gillespie after parting ways with the band earlier in the year. On October 2, 2012, Underoath announced that they would be disbanding in 2013.